Point request listings on our website exist to help you learn about the item and to let us know you would like assistance making selection(s). Add this item to your order for more information about it. The term cut base means that the point is in its natural shape and only the point has been polished rather than being shaped mechanically. 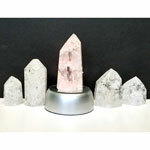 Generally we carry amethyst angel aura cut base points in a range of sizes. 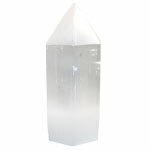 Crystal points are often used to direct energies through the apex of a point. 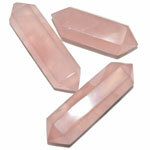 Aura crystals are irresistible. Their iridescent shimmer and metallic rainbow luster defy nature yet captivate the senses. 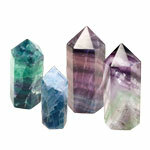 Through modern techniques these crystals are artificially enhanced. Precious earth metals have been electrostatically bonded onto the surface of citrine. A new and enchanting permanent blend is created. This unification of the original elements intensifies the properties as well as exuding an exclusive spectrum of subtle energies. 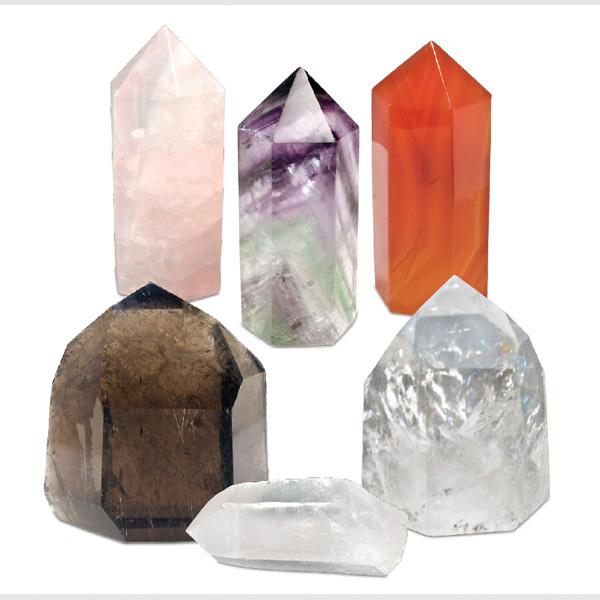 While some practitioners prefer natural, untreated stones for their metaphysical work, many consider aura citrine, with its pure components and synergistic energies, to be the exception to the rule. 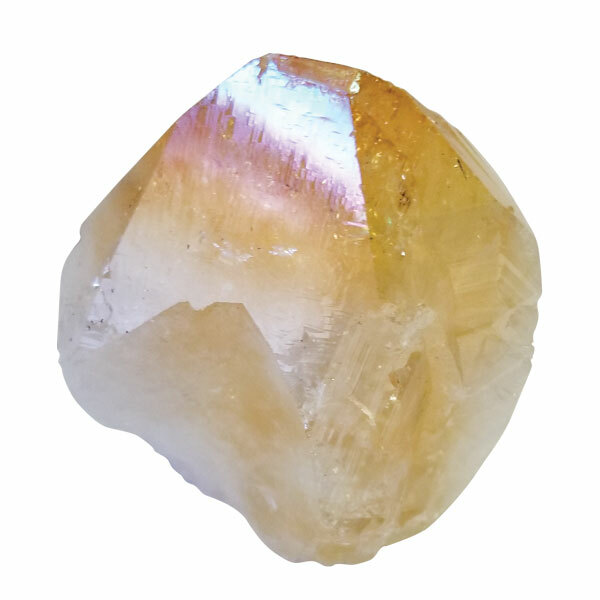 Citrine is said to be a powerful healing quartz - good for solar plexus work; mental & emotional clarity, problem solving, memory, willpower, optimism, joy, confidence, and self-discipline. 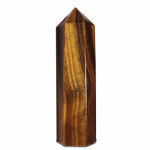 It is used to reduce anxiety, fear, depression, stomach tension, food disorders, and allergies. 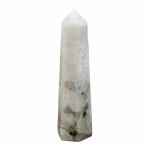 It is also thought to enhance the body's healing system and tissue regeneration. 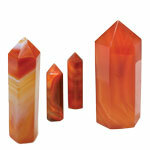 Citrine attracts abundance and the ability to manifest.